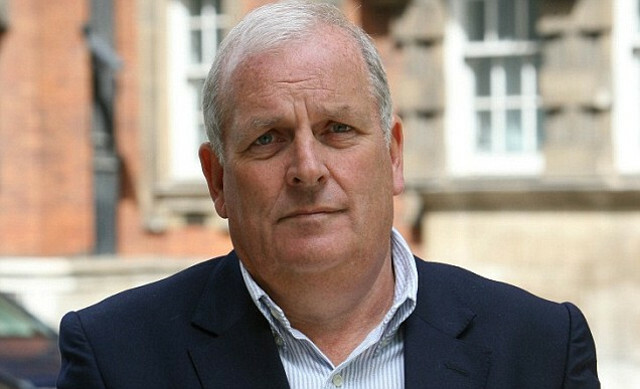 Kelvin MacKenzie has been suspended by The S*n following his disgusting remarks in an article surrounding Everton’s Ross Barkley. 28-years to the day since 96 football fans tragically lost their lives at Hillsborough and still this washed-up racist continues to spout poison about the city of Liverpool. Mackenzie compared Barkley, who has a grandfather from Nigeria, as a ‘gorilla’ as well as suggesting men on similar ‘pay-packets’ to the footballer in Liverpool were ‘drug-dealers’. He also described the midfielder as ‘one of our dimmest footballers’. The article has since been removed from the newspaper’s website and has been reported to the Independent Press Standards Organisation by Liverpool Mayor Joe Anderson. “Not only is it racist in a sense that he is of mixed-race descent, equally it’s a racial stereotype of Liverpool. It is racist and prehistoric,” Anderson told BBC Sport. Mackenzie was editor of the newspaper when an article, headlined ‘Hillsborough: The Truth’, was published, blaming Liverpool fans for the 1989 tragedy. Today, Reds remember the 96 and forget about a tired old man who has only strengthened the case for it being the time for Everton to join Liverpool in banning S*n reporters from any future contact with the club. What seems remarkable is the ability for such a piece of writing to be deemed acceptable to be published by more than one person. To suspend rather than immediately sack him serves as an accurate representation of the disgraceful standards The S*n has astonishingly been able to abide by for so long. David Conn, a Hillsborough writer for the Guardian, was one of many to condemn the disgraced 70-year-old. Jonathan Northcroft, of the Sunday Times, similarly took to social media to express his views on the matter. Thankfully the world has changed since Kelvin MacKenzie was an influential journalist. Reprehensible, racist, tired old prejudiced tripe. Don’t think for one second a man who somehow still brands himself a ‘columnist’ has diverted the attention from the people that truly matter. Today, we pay tribute to the 28-year-long demonstration of resilience, courage and unity by the city of Liverpool and remember the men, women and children who went to a football match on 15 April 1989 and never returned home.